One of the problems with Firefly was that the turret was a little cramped. The 17pr is not a small gun to cram into a turret bustle measured in inches. 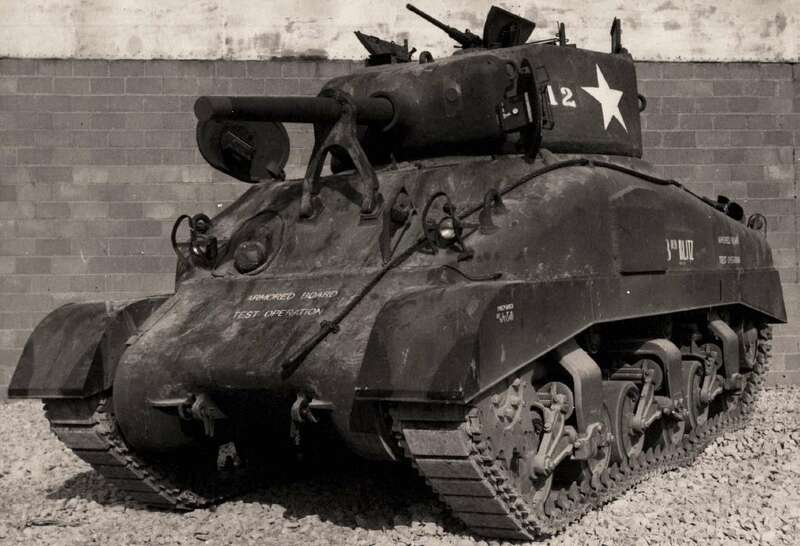 US Army Ordnance had a crack at putting the somewhat smaller and lighter 76mm into the same turret, and Armored Force found it unsatisfactorily cramped and rejected it. Another lesser-known issue for Firefly is that in order to be converted, the tank had to be the 75mm one with the smaller turret. 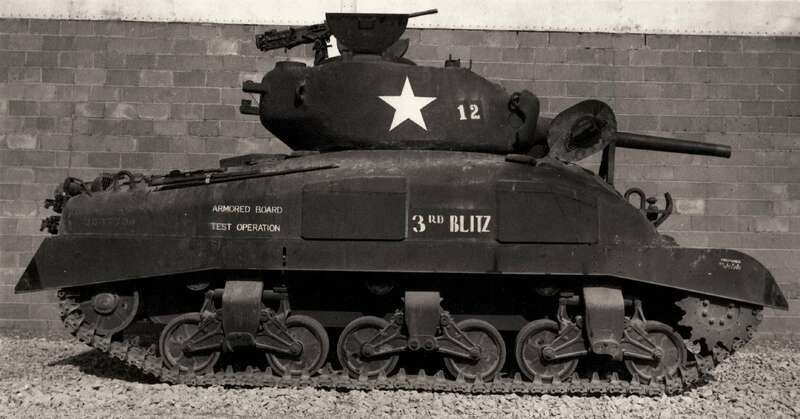 This is partly why the 75mm Sherman remained on the production lines even after the US Army decided to switch to the 76mm. But it raises the question: why did they mandate use of the 75mm tank? Surely the 76mm turret, bigger as it was, would have been a better match, and reduce the limitations the Firefly was under. How could the British miss this? There's two assumptions: one was that it was actually related to the ammunition stowage itself. It was well known that the British preferred to convert dry stowage Shermans, as opposed to wet stowage. Dry stowage racks were very simple, so this wouldn't be a surprise, and it didn't mean that the wet stowage couldn't be converted; it just took a few extra man hours. Surely the increased capability of a crew with room to move about would be worth the extra time in the factory? The other possibility is that the larger turret just didn't work out for some reason. This seems a little counter-intuitive, but perhaps an American experiment can shed some light on the subject. Armored Board, presumably not having much better to do with their time, asked themselves just how good a 75mm would gun be if it was in the bigger turret, grabbed a spare tank, and had a crack at it. 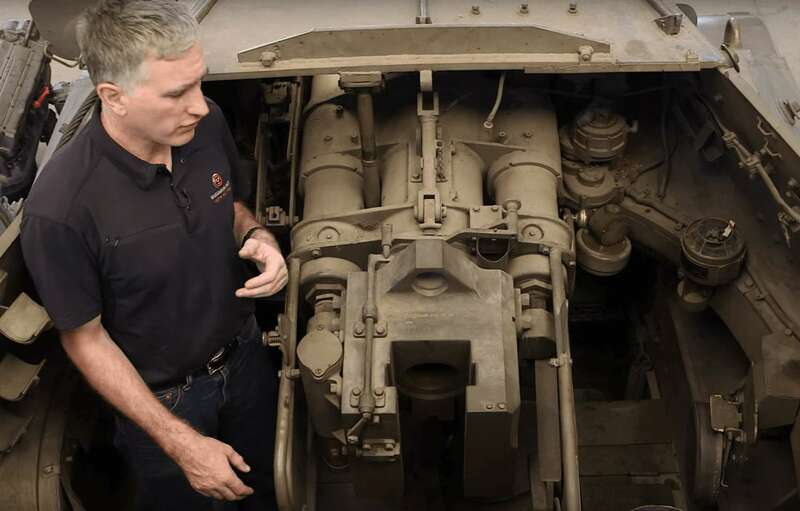 Two things to know about this tank: the suspension is an early version of HVSS, with the standard 9/16" track. The system wasn't yet changed to the wider type with twin roadwheels. Further development was still necessary. The other thing is there's a tiny little gun protruding from the gunshield of the T23-type turret. The bottom line: they couldn't get the gun to work; at least not easily. The problem is the shape of the turret. Look at it from the side: the trunnions (i.e., the pivot point around which the gun should be balanced) is well forward, and note how the turret front is sort of elongated or "pinched" as a result. There was no room for all the gun control equipment, the sights, elevating gear, gun components, recoil mechanism, etc. in that narrower part of the turret. They couldn't get the gun to work and concluded that the 75mm couldn't be installed the larger turret. They also concluded that the 75mm loader didn't actually need the extra room behind the gun to operate efficiently, and the extra weight was unnecessary for a 75mm-equipped tank. The experiment was cancelled, and production lines for the small turrets continued for export sales and Marines. A similar issue was probably encountered in the 17pr installation. It's not just the gun -- it's the recoil system, the elevation system, and the optics. Yes, I know, that's not the tank-mounted variant. The horizontal cylinders and vertical breech block give that away, but the point stands. 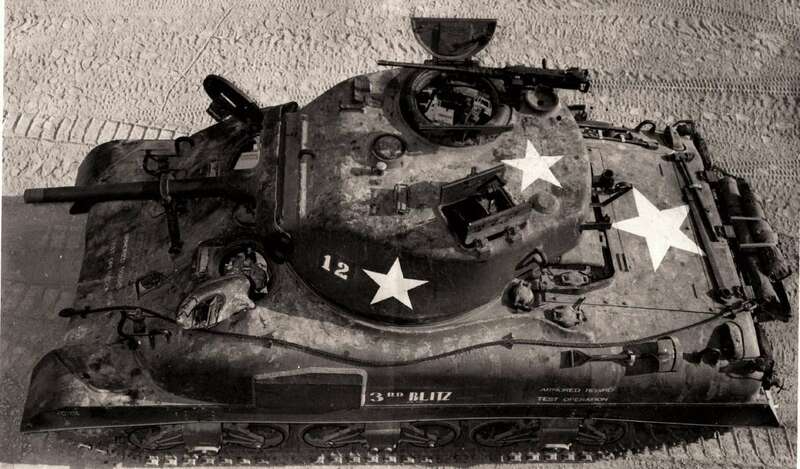 They had enough difficulty getting the elevation mechanism to fit within the turret ring, and had to cut out some of the turret basket cage at the front, under the gun, in order to get the mechanism to fit the M4. Clearance with the hull side at 90-degree traverse must have been very tight. This would all have to be "shoved" forward to play nice with the forward trunnions of the T23 turret. It was possible -- possibly possible -- to place the 17pr into the turret by designing an entirely new recoil mechanism, cradle, mount, and so on. I wouldn't be surprised if someone looked into it, but it would mean yet again changing a production line. It's not always going to be the case that one can just go grab a gun, install it into a vehicle, and call it a day without having some glitches, unless the vehicle was designed specifically to have the weapon in mind to begin with. It's not just a case of "bigger turret = more room = bigger gun," either. Though it's not a bad way to start. Nicholas Moran (The_Chieftain) is the Military Specalist at Wargaming America. Follow the Chieftain on Facebook, YouTube, or live on TwitchTuesdays at 16:00 PT.